Across the United States, members of a group called “AE911truth” are holding press conferences listed in every major city. This conference will give us the opportunity to strategize with and empower our architect and engineer petition signers. Our goal: to develop more AE911Truth speakers and otherwise actively disseminate our message to fellow A/E professionals. We will focus on several methods of structuring and delivering the message effectively. And hear your ideas about how to make AE911Truth have even more impact. 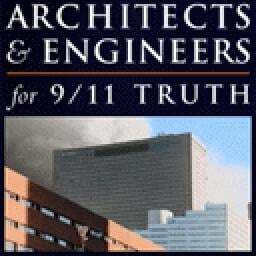 Signers of the Architects & Engineers for 9/11 Truth Petition will discuss the organization’s startling findings, based on examination of the forensic evidence, videos and eye witness testimony omitted from official reports, such as the free-fall collapse of the 47 story WTC building 7 into its own footprint and the discovery of advanced explosive nano-thermitic material found in the WTC dust samples. The implications of these findings have the potential of profound impact on the Khalid Sheikh Mohammed trial. The focus of this press conference will be to detail the scientific concerns of these building and technical professionals whose findings reveal that all three skyscrapers were destroyed by explosive controlled demolition – not by jet plane impacts and fires. AE911Truth is also calling for a grand jury investigation of Shyam Sunder, NIST Lead Investigator and John Gross, NIST Co-Project Leader (National Institute for Standards and Technology). The Petition will be provided to the offices of every congressional representative on the same date – February 19th. For additional information on the five local events contact:__Frances Shure, [email protected], 303-778-7511 home/office, 303-909-2053 cell. To arrange print/broadcast interviews, with Richard Gage, AIA, founder of AE911Truth please contact Tania Torres at Architects & Engineers for 9/11 Truth: 510-292-4710, or by email [email protected] . • Luncheon price-hike delayed to Feb. 16 – last chance! • LIVE webcast via webinar at AE911Truth.org – watch in real time! To underscore the importance of this milestone achievement, AE911Truth is launching a massive publicity campaign world-wide and holding a major Press Conference in San Francisco, California on February 19, 2010 followed by an informative Keynote Luncheon to include David Ray Griffin and Steven Jones. We will also host a strategy and team development conference featuring our Architect and Engineer petition signers – many of whom will be flying in to San Francisco to join us. All petition signers are now welcome and encouraged to attend this very important mini-conference. a. Sponsor a Volunteer – honoring their hard work and dedication – enabling them to attend the Luncheon. b. Sponsor a Speaker with a major donation that will enable us to bring esteemed 9/11 Truth figures David Ray Griffin, Steven Jones, and other special guests to our milestone event. 2)Hold the AE911Truth press conference in your local City on Feb 19. We will help you with this. Please contact Abby Martin at [email protected] to help.